Let's take a joy ride! 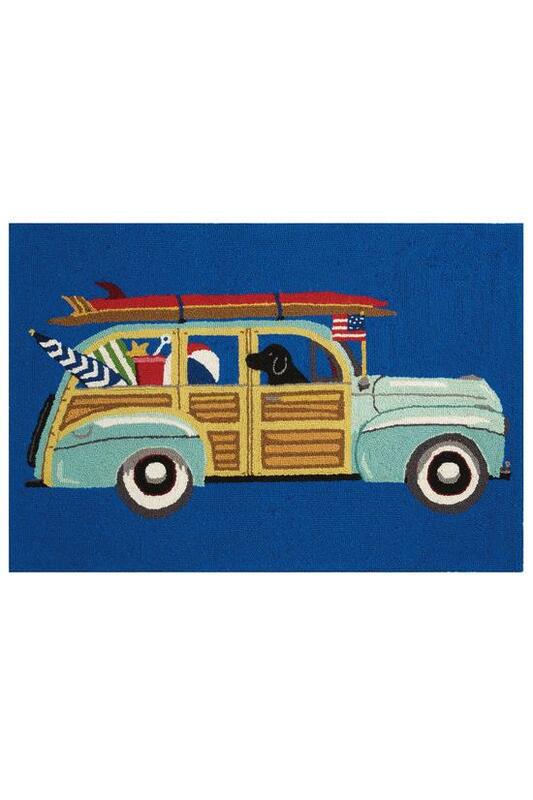 Loaded up with surf boards, beach balls, sand pails and, of course, a faithful black lab, our wood-paneled station wagon is ready for a day at the beach. Set against a brilliant blue sky, this adorable motif is hand-hooked of soft wool pile. Cotton canvas backing.